Easter is almost on us, much earlier than we are accustomed, being it one of the years it falls in March instead of April. For some, the post Christmas catch up seems barely behind us and here we are preparing for the next seasonal event. Eeeekkk… that’s gonna cost more money!! 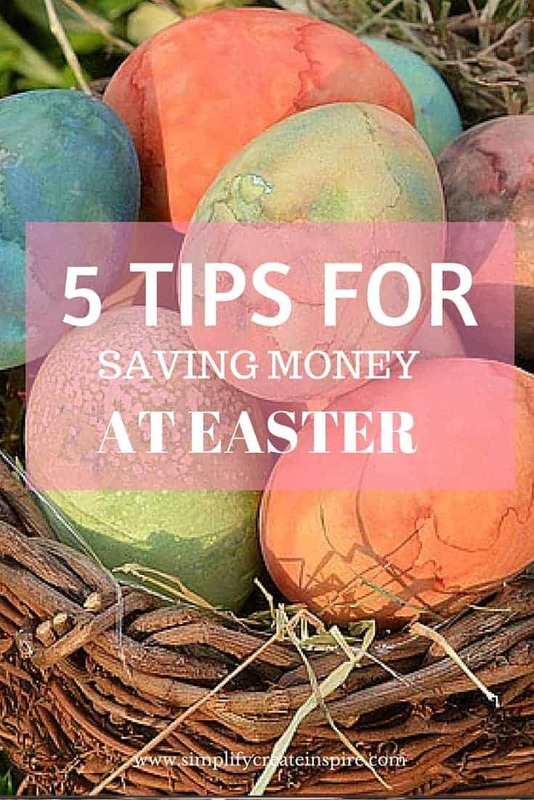 But don’t worry, as there are plenty of ways you can be saving money at Easter! 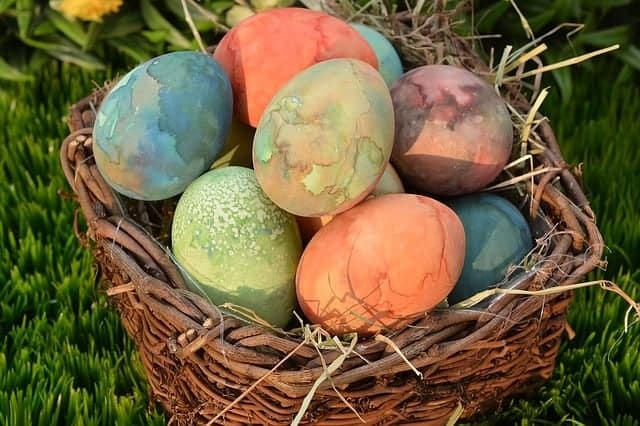 There was once a time when we would go do a bit of an Easter shopping splurge about a week before the event, loading up a basket with Cadbury chocolate bunnies and having a grocery shopping cart that could feed a small army (not quite!!). But back then we were a dual income household and that was perfectly acceptable. These days things are a little different, and the last couple of years I have become very thrifty when preparing for holiday events and celebrations. Call it a case of have to, since I was the one who decided to be a stay at home mum back towards the end of 2014. And while I do contribute to our household finances, we still keep things much less splurgy than we used to. (Splurgy – is that even a word?!). With almost everything, if you plan in advance you can almost always save yourself some money. This is everything from planning where you will be, what you will be doing, to what you will be eating or gifting. The last minute dash rarely does our finances any favours, so if you can plan ahead and know what you will want and need, you can find ways to cut your costs. Plan your menu early so you can pick up certain non perishable or long life products when they are on special. I find checking out the catalogues for our local supermarkets to be helpful when doing this. You can also save money on Easter eggs if you choose to give them, by waiting until they are on special. If you tend to get together with family and friends over Easter, save money by sharing the load of organising food and entertainment needs. Have each guest or family contribute to the meal by bringing a plate or drinks for everyone. This means no one will be significantly out of pocket, and you get to each feel the pride of contributing. Bulk buys can be great for saving money at Easter, not only on food for meals and entertaining, but also on Easter eggs. A couple of years ago I started shopping sporadically through a discount online department store. All big name brands with a big discount. Each Easter they have a bit Easter chocolate sale, so I stock up on goodies and make Easter baskets or gift bags for my family members. This is so much cheaper than buying each person an individual chocolate gift, and it means you can add a little variety. This year it is Malteaser Bunnies and mixed solid eggs in little gift bags. I have enough for my entire extended family of 15 for only $30AU. Much cheaper! 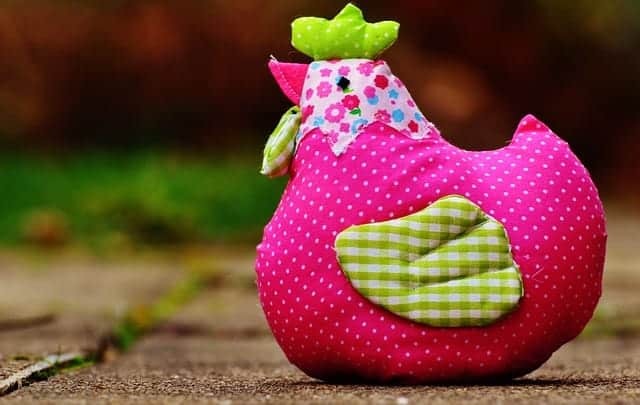 If chocolate isn’t your preference, or if you enjoy making yummy things in the kitchen, DIY gifts are the perfect solution for saving money at Easter. Check out my round up last year of non chocolate DIY gift ideas for some inspiration on low cost homemade gifts. Or you may do as I did last year and make some yummy chocolates and sweets at home. Chocolate bark, birds nests, rocky road. YUM!! Look here for some ideas. They were well received and of course have the added touch of being handmade with love! Most of the reasons why so many people stress come Easter time is the cost of buying Easter eggs and gifts. While it is lovely to receive something, it’s not an essential part of Easter and you can certainly save money by not giving gifts. If money is tight, or if you’d just rather focus on the togetherness instead, talk to your family about giving gifts a miss that year. You will also find tips on saving money on Christmas, along with other great money saving ideas in my money round up. Do you have any great ideas for saving money at Easter?